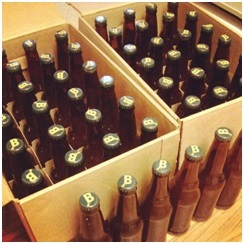 Like many guys in their late twenties, I have been taken by the craze of home brewing. It’s a very fun activity, and after a few years of fine tuning my process I started inviting friends over to partake in the rewards of my craft. My friends, the freeloaders that they are, readily partook and depleted my stock of home-brewed beer to various levels, something that left me with a dilemma that I was not anticipating. Being a good friend I wanted to know, ‘Which of the different varieties did my friends like the most?’ This was a hard question to answer after a night of – responsible – drinking. This was a task for someone with a solution minded brain, so luckily I went to my most trusted source for solutions: myself. In addition to brewing my own beer, I drive my wife crazy by trying to automate my entire house. While I haven’t yet been able to get Journey to play every time I walk in my front door, surely I could keep track of which of my adult beverages were proving to be the most popular through simple data collection? And, could I do so before our upcoming New Year’s Eve celebration? I attached a bar code embedded with information on the drink to each of my bottles, set up a simple Honeywell 1300G barcode scanner to scan into my computer, and went on to have a great night. In the morning, I accessed the Excel document and I had full disposal of every drink that I handed out that night. Over the course of three weeks I now had trends, and – most importantly – I wasn’t running out of the beer that my friends liked. Success, and just in time for New Year’s! This setup wasn’t rocket science. In fact, it’s already in place in just about every warehouse in the country in a significantly more complex set up. You can even step up from passive barcodes to RFID-tags at the industrial distribution level. If it wasn’t cost prohibitive I would probably tag every piece of clothing in my house with a passive RFID tag and finally learn where the sock monster is. However, at the heart of all those set ups though is the same basic principle: reading a simple barcode to better track your products. Most of the small businesses that I talk to every day don’t even consider the costs that very simple data tracking done on their own without a complex set up can save them. It is estimated that over $40 billion a year is lost due to bad or non-existent data tracking. In this day and age there isn’t a single excuse for any person that is selling a product – be it the simple home brewer, the owner of the mom and pop hardware store, or the multi-million dollar corporation – to not track the data that they can receive from it. L-Tron currently offers a free barcode generator that can make you a basic barcode. 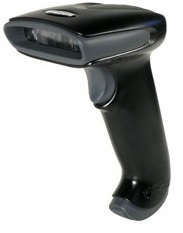 Barcode scanners themselves are relatively inexpensive, computers as well. A couple dollars spent now to save you hundreds, if not thousands in the future.